Established in 2001, Videonations was formed to specialise in meeting room communication technology by founder Ian Carter. Based in Manchester, Videonations grew steadily over the years and established relationships with the leading providers of visual communication technology. As demand for video conferencing solutions grew, Videonations was ideally placed to provide expert guidance to customers wanting to capitalise on this emerging technology. To meet the growing demand and expectations of customers based in the south, the company opened its London premises in 2012. In December 2012 Videonations was acquired by The Nycomm Group, creating opportunity for additional growth and increased presence in the market place. 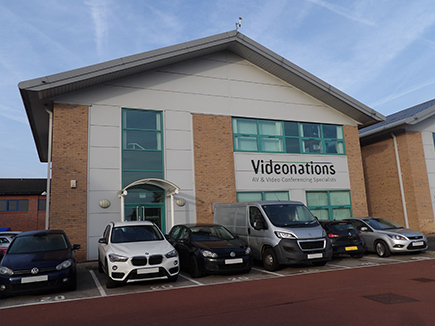 Today, Videonations operates from their Manchester and London premises and benefits from the support of the Nycomm Group while continuing to offer a personal service to our clients. We are fully accredited with all major suppliers of video conferencing and audio visual integration, offering clients a custom built solution best suited to their individual needs. Videonations provides solutions to customers from all industries, no matter the scale or complexity of the project. Thanks to our relationships with manufactures and our parent company, we can provide complete solutions, catering for all aspects of customers’ visual communication challenges. We are an independent supplier and installer of audio visual equipment across the UK and beyond. Our 15 years’ experience across the industry allows us to offer expert advice based on your business needs. It’s because we are independent that we can offer you the best products across the marketplace without being tied to one supplier. Videonations are proud to have achieved the quality management and environmental management accreditations. ISO 9001 is a framework for effectively managing a business and meeting its customers’ requirements. It is the world’s most established quality framework and sets the standard not only for quality management systems, but management systems in general. Achieving ISO 14001 demonstrates our commitment to reducing our environmental impact. As a company we’re focused on recycling packaging, cutting energy and water consumption, and monitoring logistics to minimise environmental impact. Embracing the ISO standards reflects our commitment to quality, customer service and our willingness to work towards improving efficiency. It also demonstrates the existence of our effective quality management system and environmental policy. Our extensive knowledge in the audio visual and video conferencing market is complimented by the products and services provided by our sister companies Pennine and Rocom. Pennine has over 40 years’ experience providing unified communication solutions, from proof of concept to implementation and after sales support, including Skype for Business as well as two-way radio systems and mobile solutions. Whether traditional or cloud-based they have the expertise to advise and support you.